The Challenges in CNOS3 are just more and MORE intensive and tough! So in this Challenge, we'll be tested on our Entrepreneur Skills. AND ALL PROFITS FROM OUR ITEMS SOLD ARE DONATED TO SPCA! When I first received the Challenge, I was literally stress struck. 1. We've to prepare everything (planning, marketing, publicity, etc) within A WEEK. 2. I'm flying off to Taiwan 2 days after the release of the Challenge! I was super stressed and was so afraid to pull my other team mates down. But I eventually took the lead to suggest ideas and assist them on the back end side of planning and marketing. So I kinda became the "mastermind" behind the scene, lol! Like Nick Fury from The Avengers!! I was the incharge of the social media platforms updating side, editing photos, laying out the things needed to get and do and assigning those missions to them wahahaha. I strongly believe in the mind map theory where you draft your ideas and branch out! Though mine is kind of point form, but it's kind of a mind map too, lol! So my mind map eventually narrowed down to these factors!! they'll get a free badge from SPCA and a slip of paper with a THANK YOU and our instagram account link so they could find the photos they took with our cosplayers! Not too costly, yet enough for us to cover back our cost and a tiny extra bit for donations! 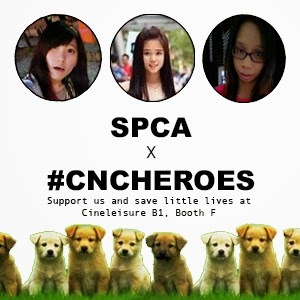 We came up with a mini "photo booth" area where customers of our booths could take pictures with the Heroes Cosplayers of our booth and get their photos online with the cute #CNCHeroes Frame designed by yours truly! 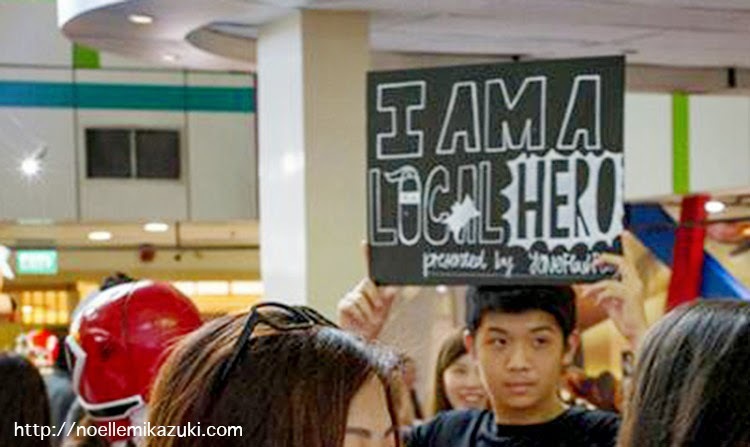 Even without costumes, when you donate/do charity, You too are a hero! 1. We had Cosplayers which attracted a lot of crowd on site! during the event from Taiwan! It was really saddening I wasn't able to be present to share the experience with them. And especially after seeing the photos my friend, Darren (our booth's photog) took for the day! Moving on the actual day event photos! My 2 overworked team mates, Cheyenne and Cherylene, 辛苦你们了～! Thank you for understanding my plight that I've to be overseas and absent during this period of time. And finally, not forgetting to thank my 2 most indebted friends. Thank you for pushing away another event and rushing down from your event to Cineleisure just to help me out to be the photographer of our "photo booth" for that day! Thank you so so much!! And yes guys, ALL THE PHOTOS used in this blog post of the event day was taken by him! You guys can look for him if you need a photographer for event/photoshoot! A million thank you for doing SO much so much for me for this challenge! Thank you for agreeing to cover my duties and roles while I'm away during the event! 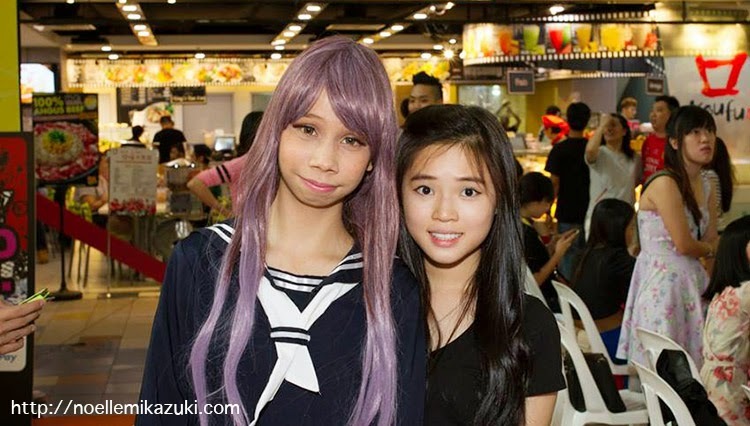 Helping me to liaise with Cherylene in Singapore, thinking of more ideas, helping out to go down to Cineleisure to help check the prices of the items, purchasing the items, and even Cosplaying for our booth! And many more!! for providing us with the funds! It's like the only thing you need to bring when you go out! And for me, I've been using Flashpay for quite a long time! I've linked my Credit Card to my Flashpay so it auto tops up $50 when the credit turns 0! So it works like my mini credit/debit card!! Check out NETS FLASHPAY website for more details!